Here we have a small sample of the projects we have worked on. If you have any questions on any of these projects, or how we can help you, E-mail Howard through the "Here's the Staff" page or get additional information through the "More Info" page. All information is only used by permission. 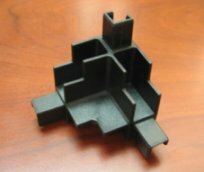 Master Machine Solutions, Inc. designed and manufactured this die changer. It is capable of handling two 15,000 lb. dies. The die changer is positioned next to the press. It will pull one die out of the press, rotate 180º, and push a new die into the press. Master Machine Solutions, Inc. did all of the mechanical and electrical engineering for this project. An operator places a stack of paper bags into the machine and closes the doors. 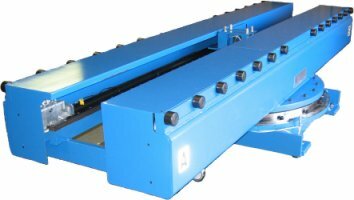 The machine will automatically compress the stack and place a paper wrap around them. The bundle will be ejected from the back. 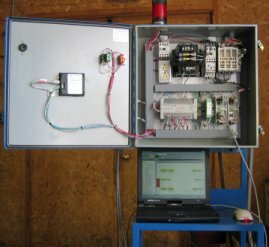 Master Machine Solutions, Inc. has the capability to design and build a variety of machine controls. This photo is a recent example. We also write the software programs of the machine controls. 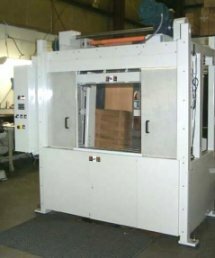 Master Machine Solutions, Inc. will design new equipment for your factory or new products for you to manufacture. 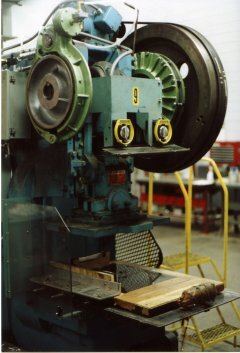 This photo shows a metal cutting band saw with several enhanced features from the older model that was currently being manufactured. We are able to assist you in a variety of different machinery design fields. Master Machine Solutions, Inc. will design parts to your specifications that will be cost effective to manufacture. 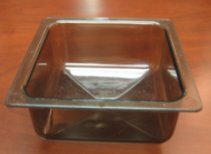 We have done a variety of injection molded parts like the ones shown, as well as extruded parts. Master Machine Solutions, Inc. is able to assist you with all types of engineering for your in-plant equipment. This photo shows an old punch press that originally had a mechanical clutch. 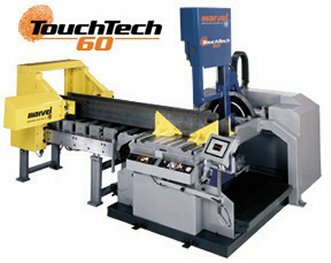 We modified the machinery to accept a pneumatic clutch and larger brake, and we installed a PLC to control the machine. The press will now stop anywhere in the cycle if the operator removes either hand from the start buttons.